Even the best rated HEPA air purifier is usually not enough. HEPA is only effective for solid particle removal and will not capture or destroy chemical gases that tend to do the majority of the damage to respiratory systems, especially in the very young. Look for an air purifier with both HEPA filtration AND a significant amount of chemical filtration media (2 pounds or more of Activated Carbon or Alumina). This will assure your air cleaner will capture or destroy solids AND gases. 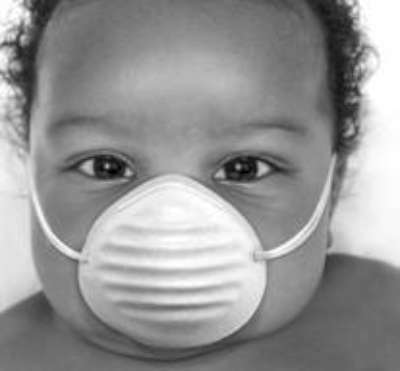 Is Your Baby Breathing Toxic Air? Find out what sources of invisible airborne hazards may impact the long-term health of your baby or child. 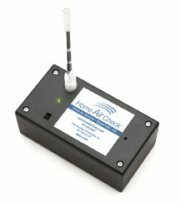 From hundreds of common volatile organic compounds like Formaldehyde gas, to traffic fumes from the busy highway, or hidden toxic mold colonies growing inside walls - this indoor air quality test kit will help you find the sources, remove or control them, and create a more healthy home for you, your baby, or your children. Most cheaper air cleaners contain sub-standard HEPA filters and are marketed with trumped up efficiency claims based on "theoretical efficiency" of only the filter material under controlled laboratory conditions that do not mimic average home conditions. Efficiency claims also do not take into account any possible air leakage that may occur between the housing and filter frame (a common design problem of cheap air purifiers). Lower quality air cleaners also often do not contain any effective way to remove chemical pollutants. 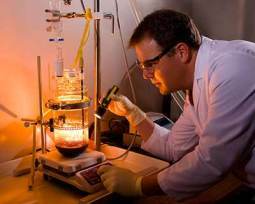 If they are marketed as a "chemical air purifier" consider the quantity of chemical filtering media. If it is a chemical filter simply "dusted" or "lined" with carbon it will be next to useless. If it contains anything less than several pounds it will also be lacking in the capacity needed to efficiently remove odors and chemicals over a longer term period. Lower gas adsorption capacity translates into more frequent filter replacements being required due to quicker saturation of the media with pollutant molecules. Of course this also means greater operating costs. Many of the most heavily marketed, yet poorly performing air purifiers for babies, may even do more harm than good because many also emit toxic levels of Ozone gas by virtue of how they work with charged wires, pins, or plates. "Ionic", "ionizing", "electrostatic", "electronic", "ozonator", "activated oxygen", "breeze", and "ozone generator" are all potential buzz words to beware of because they may indicate an air cleaner that may produce higher Ozone emissions. Inhalation of Ozone gas is particularly dangerous for babies, children, the elderly, and for those with existing illnesses. Learn more about the dangers of Ozone air cleaners especially in households with newborn babies and children. Most homes contain a varied mixture of hundreds of specific toxic particles and gases that may result from actions, objects, materials, and conditions in and around the home. Location of the home can also be a major factor. In urban and high traffic areas, vehicle exhaust and smog can greatly worsen indoor air concentrations of both of the above major types of air pollutants - with ground-level Ozone and combustion particulates being the most wide-spread hazards. These and many other urban air pollutants from internal combustion engine exhaust and industrial operations are proven to increase rates of developmental abnormalities and respiratory illness in babies and children. Childhood Asthma is but one example. 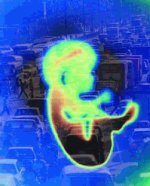 Many studies conducted in urban areas within the state of California (such as Los Angeles) have proven that if you live within close proximity to a high traffic zone, there is good likelihood that your health is in some way being impacted negatively - not just that of babies and children. source: CA Air Resources Board (pdf) - "Status of Research on Potential Mitigation Concepts to Reduce Exposure to Nearby Traffic Pollution"
Why are children and babies so vulnerable to air pollutants? Infants and children have a higher rate of cell division and less developed immune defense mechanisms - so cellular damage from pollution is less likely to be repaired or prevented, and thus more likely to result in abnormal development. Babies and young children have developing immune systems, neurological systems, and respiratory systems which makes them much more susceptible to lifelong health damage as a result of inhalation of air pollution early on. Due to their small body mass and higher rates of respiration, the very young are prone to being affected by inhalation of air toxins more so than adults inhaling the same concentrations. Babies and infants have been found to often inhale more indoor air particulates because they also tend to spend more time closer to the floor where concentrations of particles are typically much higher. Roadway air pollution is one of the most widespread, serious, and difficult to control public health issues plaguing urban areas worldwide, especially with regards to the long-term health impacts to infants and babies. Many studies have shown that alarmingly high concentrations of toxic traffic exhaust fumes and harmful combustion particles often travel significant distances from busy freeways and other high traffic zones. Likewise, numerous studies have also verified that schools, residential communities, and other buildings near these high outdoor air pollution zones also tend to accumulate high indoor levels of these same air pollutants due to infiltration from the outside. Via mechanical ventilation systems that draw outside air inside through air vents and circulates it via ductwork. Via the opening of doors and windows by occupants. Via the passive infiltration through cracks, holes, and small openings in structural components. Many methods of buffering these high traffic pollution generation zones has been studied as well - from green spaces and barriers composed of trees and vegetation, to converting above ground highway sections into subterranean highway sections via tunnels or enclosures. Unfortunately, most of the non-emission control ("bandaide") methods have proven of little protection to surrounding areas and thus the children and infants living in those areas. 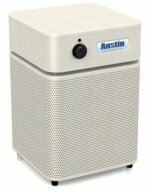 Using highly efficient HEPA room air purifiers that also include chemical gas filtering media - the best example of which is the purifier model I have featured below. And via high efficiency HVAC air duct filters having a high MERV rating. NOTE: The cheap flimsy fiberglass air duct filters costing $2 at Wal-mart usually have low single digit MERV ratings and thus are certainly NOT AT ALL effective at removing any of the ultra-fine particulate pollutants of the most health damaging <2.5 micron size. By the way, MERV stands for "Minimum Efficiency Reporting Value" and it is a particle removal efficiency rating. The higher the MERV rating of an HVAC air duct filter, the better it will remove ultra-fine particulates from the air...but it will ONLY filter out SOLID PARTICULATES -- NOT TOXIC GAS MOLECULES! Also be aware that some of the filtrete air filters have electrostatically charged fibers that help attract and hold dust particles. Despite the fibers being passively charged, the charges are not anywhere near the extent of some electronic room air purifiers that give off lung damaging Ozone gas. So you should not have to worry about Ozone gas being emitted by most non-outlet energized air duct filters, though some wholehouse purifiers may have circuit charged filters that may emit Ozone gas. Please keep in mind that toxic exhaust gases are NOT captured by most air duct filters, no matter how high the filter's MERV rating. Also remember that better quality high MERV rated air filters will be more likely to reduce air flow into your HVAC system once they become somewhat dirty. This impedance of air flow can reduce how efficiently your HVAC system cools or heats the air (increasing energy costs). Long-term air flow impedance may also cause damage to your heating and cooling system due to the extra strain it can put on the blower motor. Whole-house HVAC air purification systems also tend to have limited effectiveness because air filtering only occurs when the blower is running and air is circulating through the duct-work. But overall, HVAC air filters can be a good back-up method to augment the higher efficiency filters of the below powerful home air purifier. But I can not stress enough the need to use stand alone HEPA room air purifiers also capable of capturing or destroying chemical gases as a way to truly purify the air inhaled by babies and children while indoors. So what is the best rated air purifier for protecting young respiratory systems and cellular development from damage by both chemical gas and particle indoor and outdoor air pollutants? The swiss-made IQAir HealthPro Plus air purifier is the best rated air purifier for anyone with a newborn baby or youngsters living in a home close to busy highways or urban / industrial areas where smog, diesel fumes, and vehicle exhaust particles and gases are a particular hazard. This best of breed air cleaner far exceeds the above recommendations for high capacity efficient chemical and HEPA filtration. This makes the HealthPro Plus ideal for the above pollutants as well as the majority of common household toxins. You don't have to take the manufacturer's word for it. The HyperHEPA filter is independently tested and certified to filter out particles 100 times smaller than standard HEPA filters and the efficiency is as close to 100% as you will find. This performance is proven with actual real world air test results which assure no air leakage around filters and un-matched filtration efficiencies for gases too. IQ Air purifiers are also certified Ozone free. The main drawback to these, the Rolls Royce of air purifiers, is the initial above average price. But on a performance to cost basis, HealthPro Plus is a bargain because this unit will deliver many years of true clean-room quality air purification. The health benefits are well worth it if pure air in baby nurseries and adjacent areas is a must, as it should be for the healthiest growth and development in babies and youngsters. 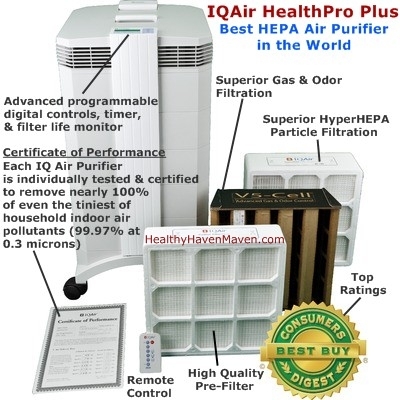 Click below if you would like to learn more about the full selection of highly rated and expertly reviewed IQ Air purifiers, or to learn more about many other high quality, yet more affordable gas/particle air purifiers. There are many other lower priced brands of "Chemical VOC Air Purifiers, but cheaper models are often mediocre at best for capturing gases and solids efficiently enough, or for extended periods of time before filter replacement is required. A key to removing sources of air toxins in your home is to know what those sources may be. It's often not obvious. So the smartest move you can make is to first test your indoor air quality which can help you predict what specific pollutant sources may be causing your symptoms and poisoning the air your family is breathing. Once you identify hazards like hidden toxic black mold colonies or elevated levels of volatile chemical compounds - then you can start taking action to fix the problem (for example via moisture control strategies, downsizing your chemical product usage, green renovations & repairs, home air cleaners, ventilation fans, duct cleaning, or better HVAC filters. The danger of fabric softener and dryer sheets may involve chemical trade secrets and hard to identify fragrance chemicals. Plus safe, cheap, and effective home made fabric softener recipes.